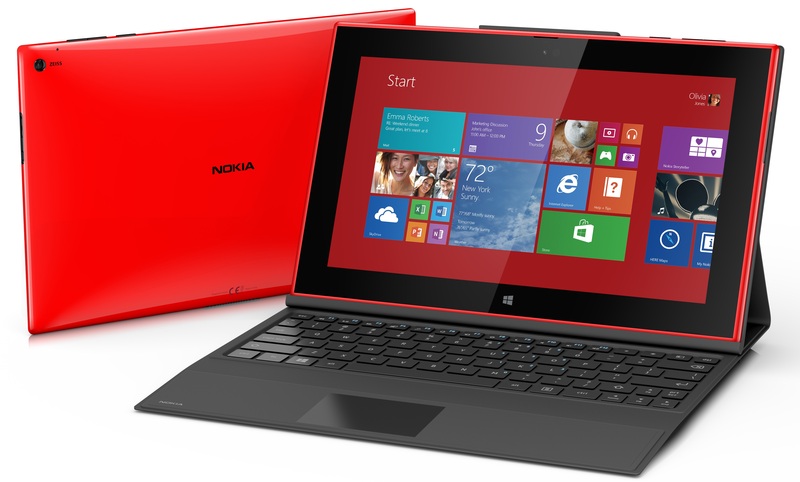 Before Nokia unveiled the Lumia 2520, almost every tablet on the market looked the same. A thin, lightweight slate in either black, white or silver. Most are understated and beautiful to hold, but few challenge our expectations of how a tablet should look, feel and function. The Lumia 2520 does exactly that. It’s unashamedly bold and set to launch in either white, black or a far more striking shade of red and cyan. The design is in keeping with Nokia’s current range of smartphones, but on a device this large the impact of these bright colors is even more startling and profound. Nokia spent a long time experimenting with materials and manufacturing processes that could be used to build such a fearless device. Some of the designers considered using metal to construct the body at one point, in addition to curved glass for the display. “We decided not to do it at the time, because the thickness of the glass would have added to the weight,” Pannenbecker reveals. Nokia, more than any other manufacturer, has been able to successfully marry the distinct aesthetic and simplicity of Windows Phone 8 with its own apps and smartphones. In a similar vein, the cyan and red color options for the Lumia 2520, while lavish, feel appropriate alongside the Windows RT 8.1 platform. The Lumia 2520 is Nokia’s first tablet and as such, there was an opportunity for the company to go even further off-piste. They could have dropped the Lumia branding entirely or tweaked the design even further, as it has done with the latest set of petite, bubblegum Asha feature phones. From the outset, however, Pannenbeckers says the team wanted to create a tablet that embodied the same design principles as the company’s Lumia smartphones. Nokia’s first tablet was always going to be an evolution of that vision, rather than a product that abandoned these well-established and instantly recognizable aesthetics. “We wanted it to be a part of the Lumia family, so that also needed to be expressed in the way we designed the product,” he says. That philosophy also meant challenging some the widely held beliefs around tablet design. Pannenbecker says he approached the Lumia 2520 as a mobile product first and foremost – it needed to be more than “just a tablet”. Despite this unique DNA, it’s hard not to compare the Lumia 2520 with Microsoft’s latest venture into consumer electronics; the Surface 2 (be sure to read our review). 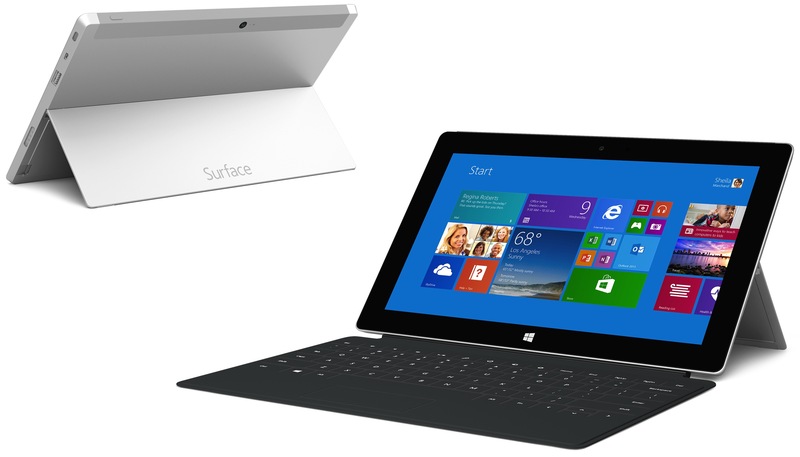 Both tablets run on Windows RT 8.1 and can be fitted with an optional case that serves as both a keyboard and kickstand. The two slates were unveiled within a short period of each other – almost a month to the day – suggesting that there was some form of planning or collaboration between Nokia and Microsoft. That wasn’t the case though, according to Pannenbecker. In September, Microsoft announced a $7.2 billion plan to buy out Nokia’s phone business. It represents a clear opportunity for Pannenbecker – the rest of the design team – to marry the software and hardware of its products to even greater effect. Just like Apple, Microsoft and Nokia should be able to control the end-to-end experience as it does with the Surface line. More: Nokia Lumia 2520 hands-on: Does this 10.1″ Windows RT 8.1 tablet deserve your attention?